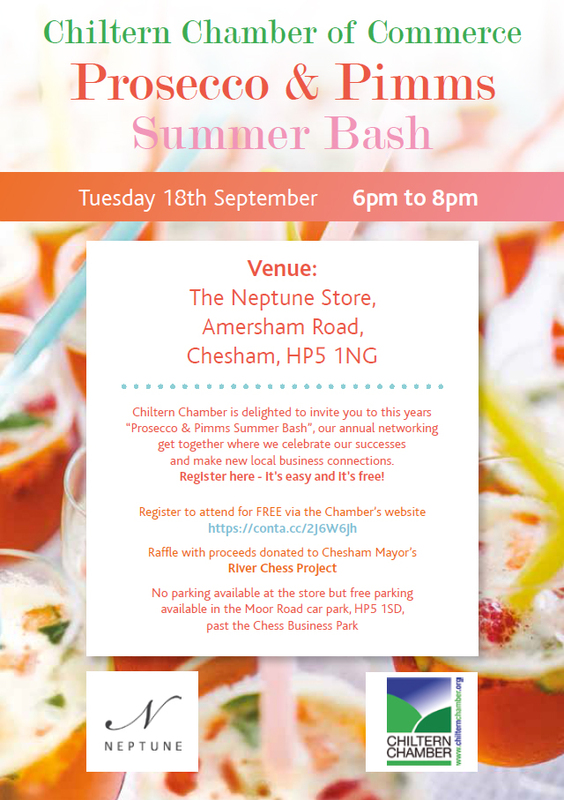 Chiltern Chamber is delighted to be holding this year’s “Prosecco & Pimms Summer Bash”, our annual networking get together where we celebrate our successes and make new local business connections. All donations and money raised by the raffle will be donated to Impress The Chess, a group of volunteer organisations delivering an Action Plan that identifies and delivers environmental improvement projects along the River Chess. Please feel free to sign up a guest to bring along too!